You take my breath away, You've stolen my heart, You're my one and only. When something is just that perfect all feelings and emotions just explode! Imagine that every time you walk through the front door. Its guaranteed with this prestigious detached house, designed, constructed and fitted out with elegance in mind. The ground floor starts with a stunning entrance hall with central stairs leading to the balcony and topped with a vaulted ceiling. The living space is divided between a lovely lounge and a large family space incorporating the dining room, kitchen and a family area. Of course there is a study, utility and cloakroom. The upper floors provide up to five / six bedrooms and three bathrooms. The layout cleverly allows for all sorts of combinations. Set in around half an acre there is plenty to go at outside, a stable block and also planning for another building. All situated behind private gates and with open fields beyond. Be the king of your own castle! EPC C76. You take my breath away! A five bedroom prestigious detached house, designed, constructed and fitted out with elegance in mind.The layout cleverly allows for all sorts of combinations. Set in around half an acre there is plenty to go at outside. All situated behind private gates. EPC C76. A substantial six metre high vaulted ceiling tops out the grand entrance to the property with a solid Iroko front door. A central feature stairway leads up to the first floor which has a balcony landing on two levels. Polished tile flooring with under floor heating. Above the front door is a feature double glazed window. Two ground floor storage cupboards. PVCu double glazed window at the front of the property and PVCu double glazed bi-folding doors opening to the side patio. PVCu double glazed window to the front. Laminate wood flooring. Fitted desk to two walls with a built in matching cupboard. Fitted with a stylish low level WC and a wall mounted wash basin with waterfall mixer tap. Part tiled walls with contrasting tile flooring. Extractor fan. Ceiling down-lighters. Fitted with base and wall units with cream gloss doors and a wood effect work surface. Stainless steel one and a half bowl single drainer sink unit with a chrome hot and cold water mixer tap. Space for applances including plumbing for an automatic washing machine. Polish tile flooring. Walk in storage cupboard. PVCu double glazed opaque door to the rear of the property. Fitted with a modern range of base, wall and draw units with hidden handles and satin doors. Silestone work surfaces. Etched drainer with a stainless steel bowl and chrome hot and cold water mixer tap. Integrated four ring electric hob built in to the island. Twin NEFF electric high level ovens. Integrated dishwasher. Ceiling down-lighters and polished tile flooring. PVCu double glazed window to the rear with PVCu double glazed French doors from the dining area to the rear. Open-plan access to the family room. Bi-folding double glazed doors to the patio with a PVCu double glazed window to the rear. Polished tile flooring. Ceiling down-lighters. Media unit built into to match the island. A balcony landing providing access to the first floor rooms. Views through the vaulted window to the front. PVCu double glazed window to the rear with a PVCu double glazed French door opening to a Juliet balcony with views across the garden to the side. Stairs to the second floor master dressing room. Fitted with a modern suite including a low level WC and a pedestal wash basin with a waterfall tap. Step in double shower cubicle with a plumbed chrome shower head. Chrome towel radiator. Fully tiled walls with tile flooring. Ceiling spot lights. Extractor fan. PVCu double glazed window to the front. Fitted wardrobes and cupboards to one wall. Stairs leading to the mezzanine sitting room and guest bedroom. PVCu double glazed window to the front with a PVCu double glazed French door leading to a Juliet balcony with views across the garden. PVCu double glazed window to the rear. Fitted with a stylish four piece suite including a low level WC, a wash basin mounted on a plinth with a chrome waterfall mixer tap and a free standing bath with a tower chrome waterfall tap. Walk in shower cubicle with a variety of jet options to the plumbed head. Chrome towel radiator. Fully tiled walls tile flooring. PVCu double glazed opaque window. Ceiling spot lights. 15' x 9' 5" (4.57m x 2.86m) with further space extending into the eaves. Double glazed velux style window. Radiator. Large double glazed velux window. Radiator. A dry-stone wall borders the road to the side of the property with electric remote control gates giving access to a stone surfaced parking area. Steps then lead up to the front door. The remainder of the front is finished with a variety of shrubs and small to medium size trees screen the property. The predominant garden area is to the side of the property with a patio area immediately to the side accessed from the house by full width bi-fold doors. A patio wall with a fireplace and chimney provides a divide from the main lawned and garden area. The garden has a stone wall surround. Within the garden is a two door stable block and the current owners have secured planning for a garden room / habitable building of 9.4m x 4.8m. To the rear is a hard standing with its own double gates to the side road. The ground measures almost half an acre in total. 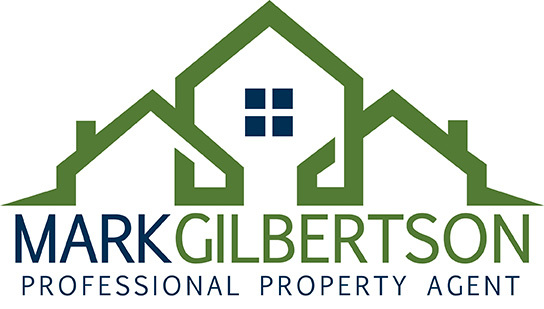 This property is being sold on behalf of an employee of MarkGilbertson.Co.Uk Limited.